Pardieu Gallery is proud to present “Resurrection: Inhabiting Easter” an Exhibit by Texas Artist Gwen Meharg April 13th – May 25th. Gwen Mehargs latest work explores the resurrection: “The resurrection is a historical event and a daily choice. There is significance beyond Easter morning. The days, the joys and sorrows, compress with age. We each carry a life time of days, a lifetime of marks. Each mark on the painting is unique and each day is part of a greater whole. My niece lived 9,141 days. My father 32,667. I do not know how many marks my painting carries, I just made marks until it was complete. No one knows the quantity of their marks until they reach the end. Each mark is a prayer. Each mark is a testament of forgiveness. Each mark proffers new mercies. 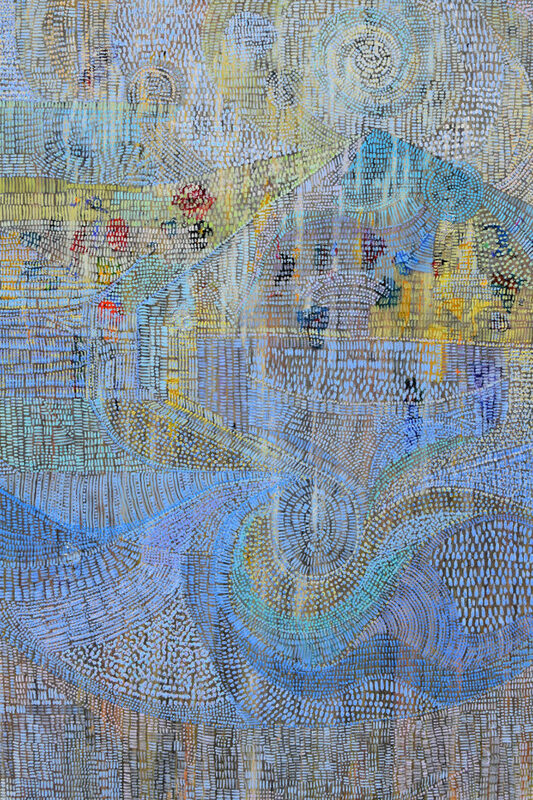 Each mark explores the power of resurrection to weave individual days into a beautiful whole. My paintings are filled with stubborn hope. The hope in a resurrection that was and is and is to come­­­. Pardieu Gallery is conveniently located 1/2 block north of the popular shopping destination of Watters Creek at Montgomery Farm in Allen. Text “myart” to 31996 or visit http://www.pardieugallery.com to schedule a viewing. Gwen Meharg will have an artist talk May 18th from 2 – 3pm reservation required.